Warning! Lots of spoilers ahead about This Is Us and Kate’s plus size birth storyline. Do not read this article if you’re not caught up with the show. Ever since Season 1: Episode 1 of This Is Us, I’ve had a love/hate relationship with Chrissy Metz’s character, Kate Pearson. I love Kate because in many ways she’s me. I hate Kate because in many ways she’s me. The moment I saw negative post-it notes on the high-calorie food in Kate’s refrigerator, I felt seen. On one hand, it felt beautifully poignant and, on the other hand, I felt so raw and vulnerable. As I shared in the article, This is Us: We Need to Talk About Kate and Her Weight, I remember keeping a Fredrick’s lingerie magazine in my fridge when I lived alone in my early 20’s. If you’re reading this, I imagine you’re part of the majority and you too had something “motivating” (read: shaming) in or on your fridge too. Yup, it happened. To all of us. When Kate got pregnant the first time, I completely identified with the fears she faced being plus size and pregnant. While I wanted nothing more than for her to have a healthy outcome during pregnancy, her miscarriage storyline was everything I never knew I needed to see on television. I cried uncontrollably when she lost her baby. Everything she endured during that episode, I myself experienced five years prior. The devastation, shame, rage, and pain – I felt all of that when I had my own miscarriage. Kate’s loss was my loss, and once again I felt seen. This Is Us writers gave plus size loss moms a gift when they didn’t blame Kate’s loss on her weight. Millions of viewers got to see what it’s like for a plus size woman to receive compassionate care. Through my tears, I was cheering. And a few episodes later, viewers witnessed the true-to-life struggles plus size women face when seeking fertility support. We got to see an accurate depiction of a care provider not willing to support a woman with a high BMI. Millions of women felt seen. Then in a “must-see TV” move, the fertility specialist changed their mind and viewers got to witness a woman of size go through fertility treatments. Just like Kate’s first pregnancy storyline, I kept waiting for something to happen during this second journey. While I hoped beyond hope that we’d finally see Kate have a healthy plus size pregnancy, I knew her story wasn’t going to end happily ever after. So, I held my breath each week. This Is Us showed the different emotions and struggles women face while undergoing fertility treatments, especially those who are plus size. This storyline is so important and, for the first time on television, countless plus size moms felt seen. Then, out of nowhere, in another “must-see TV” moment, Kate’s water broke at 28 weeks gestation. I could’ve skipped the following episode as I knew Kate’s plus size birth storyline would end in an emergency c-section. Now, as Kate’s son’s NICU storyline unfolds, I’m still processing her plus size pregnancy and birth story. While the show didn’t blame her weight for her premature birth, every Facebook post and article online is full of people doing just that in the comments. Women Kate’s size can and do get pregnant, be it on their own or with support. Women Kate’s size have c-sections, but they also have vaginal births. What’s more, plus size women everywhere deserve to be treated with dignity and compassion by the medical community during pregnancy, birth, and beyond! We need to see more stories like Kate’s on TV and in movies because it helps to normalize plus size pregnancy and birth. These stories matter even if we don’t like how they unfold. 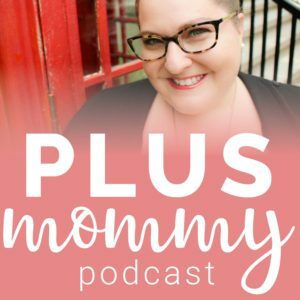 Below, plus size moms speak out and share their reactions to Kate’s plus size birth storyline. Read over 100 responses in this Facebook post and be sure to share your own thoughts in the comments below!